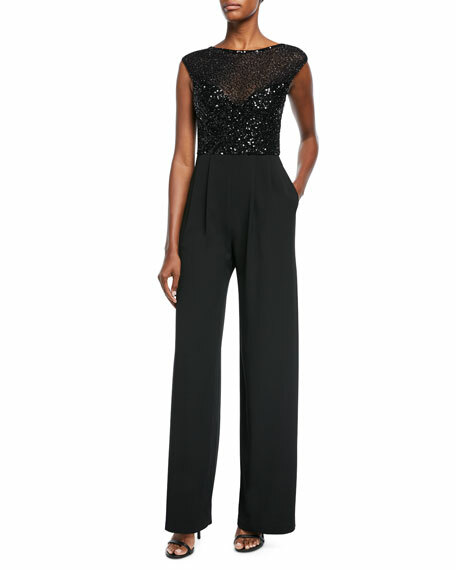 Parker Black "Celia" sequin combo jumpsuit. Approx. 61"L from shoulder to hem. 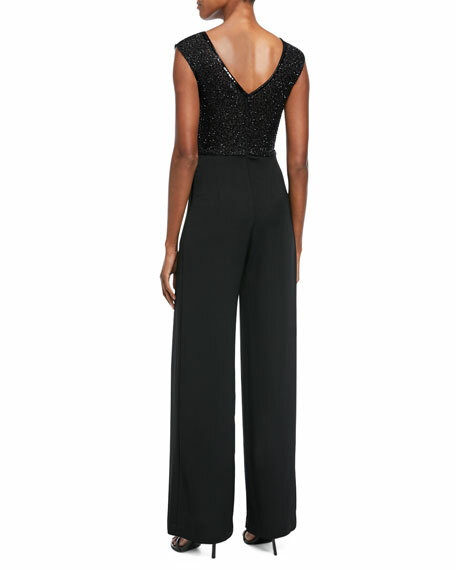 High bateau neckline; V back. For in-store inquiries, use sku #2419234.